16" diameter x 7" deep planting container without holes. 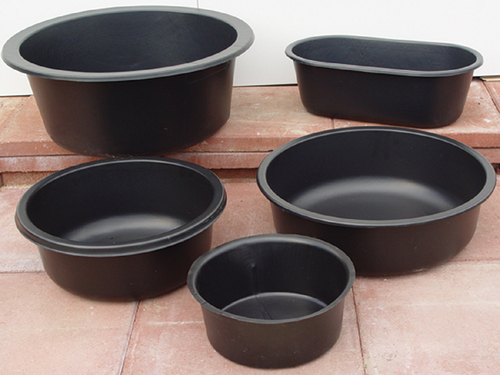 The high density polyethylene pots are designed specifically for water gardening. Shown center left.